Diabetes Loophole Review (2019)- Reverse It Yourself? Type II diabetes is often caused by being overweight, so it is possible, in many cases, to reduce or eliminate your symptoms through a change in diet. Still, as diabetes is a serious medical condition that can be fatal if left untreated, you should consult with a doctor before trying anything in the Diabetes Loophole book. Really. 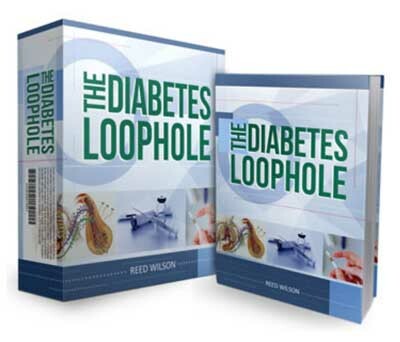 Diabetes Loophole is sold as a series of books in the PDF format, which means that you can download them immediately after purchase. PDF books can be read using any computer device, from smartphones to tablets to desktop computers. 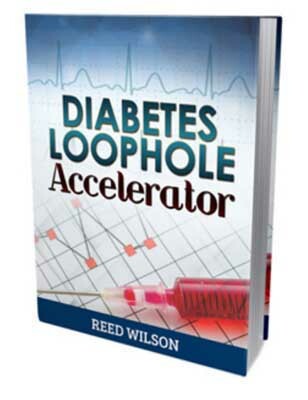 There’s also an upsell for $69, in the form of an additional 74 page book called the Diabetes Loophole Accelerator. This book is optional, but they claim that it will help you get your health back on track even more quickly. I was pleased to see that the bonus books were actually written by the author of Diabetes Loophole and that they aren’t just some free books that the author added as throw-ins to give the impression that you’re getting more for your money. 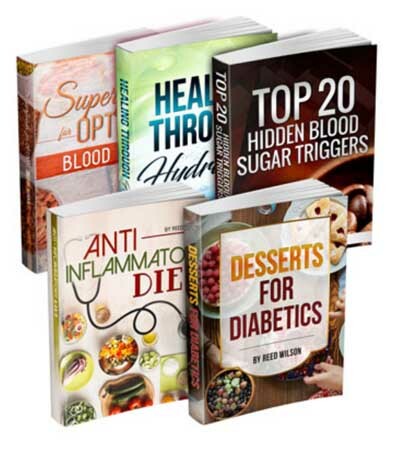 The bonus books do offer additional information that can be helpful in getting your health back and in maintaining a healthy diet. The Desserts for Diabetics book will likely be the most useful, as it has a number of easy-to-prepare recipes for creating tasty desserts. As for the main Diabetes Loophole book itself, it’s 83 pages, and well-written and well-presented. The first part of the book discusses the “industry” of diabetes, and how, in the author’s opinion, the medical industry is more interested in treating diabetes as a chronic condition than they are in curing it. The author of Diabetes Loophole does correctly point out that some forms of diabetes require medical treatment while others, specifically Type II diabetes, can often be treated with a change of diet and lifestyle. The book then discusses the symptoms of Type II diabetes and how it is typically treated. It’s pretty clear from the text of the book that the author is not a big fan of the medical profession or the pharmaceutical industry. Diabetes Loophole then covers the aspects of the modern diet that the author believes contribute to diabetes, and he offers a list of foods that should, in his opinion, be avoided. The Diabetes Loophole then covers the sorts of foods that the author believes that we should be eating in order to live healthier lives and to avoid diabetes altogether. The list of foods that should not be eaten includes the usual culprits – processed foods, foods that are heavy in sugar, and foods that contain various types of fat that are generally considered unhealthy. The diet that the author of Diabetes Loophole recommends is one that is high in fiber and which contains a large amount of recommended “super” foods that the author says will help stave off diabetes or cause the symptoms to reverse themselves. There is a chapter in Diabetes Loophole that lists some recommended dietary supplements, though I was glad to see that the book did not include links that the reader can use to buy them. All of the supplements listed are relatively common ones that can be found at any health food store or even at many pharmacies. T he book also has a brief mention of exercise as something that can definitely improve your health. While Diabetes Loophole does list some suggestions for the sorts of things that one might eat throughout the day, there was no formal meal plan listed, nor did the book include a list of recipes. The bonus book, Desserts for Diabetics, did include a number of dessert recipes, but there weren’t a lot of recipes for the main meals that a diabetic might want to consume throughout the day. When all is said and done, despite the fact that Diabetes Loophole is well written, the book comes across as a rant against the medical industry, combined with general suggestions for changing your diet, rather than a book that offers specific instructions for how to go about reversing your Type II diabetes. If you’re the sort of person who needs a specific checklist for what to do, Diabetes Loophole may not be the ideal book for you. Diabetes Loophole is a well-written book that covers the basics of Type II diabetes, its causes, and the most common treatment for it. The book also makes some suggestions regarding how one should change one’s diet in order to avoid the kinds of foods that can cause one’s body chemistry to change for the worse. While the author of the Diabetes Loophole does have some good recommendations for how one should change one’s diet in order to live with (and hopefully reverse) Type II diabetes, the book lacks specific instructions for the average reader to follow. At the end of the day, Diabetes Loophole may help some people and others may not find it particularly helpful. 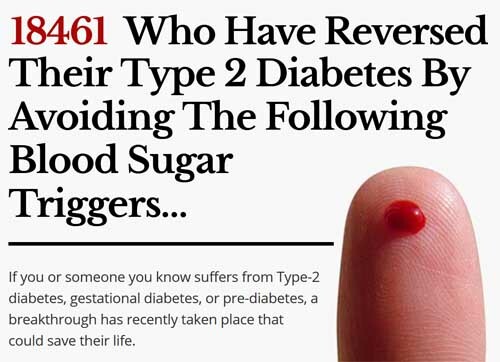 Click here to visit the Diabetes Loophole Website.